Mark Strand passed away in November. Somehow I always expect there will be a flurry of magazine covers and articles to eulogize poets with the same kind of attention afforded to celebrities. And, perhaps that might be the case if the world resembled Brattleboro, Vermont where a stranger walked up to a poet friend of mine, delighted to have recognized him and asked for an autograph. While I didn’t know Strand personally, I owe him a great debt. 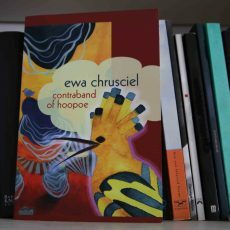 During high school and college, I coursed my way through reading poetry—either for classes or for leisure. At the time I knew I wanted to write, but hadn’t completely decided on the form. Journalism had caught me in its net and I pursued it, working at the school newspaper as a features editor, senior reporter, and at one point as an assistant arts and entertainment editor. I loved the pace of the newsroom and the camaraderie. We were a family of misfits who asked questions and told stories. I could never shake that absurd desire to push the Word beyond fact and into letting it play and carouse with other words though. 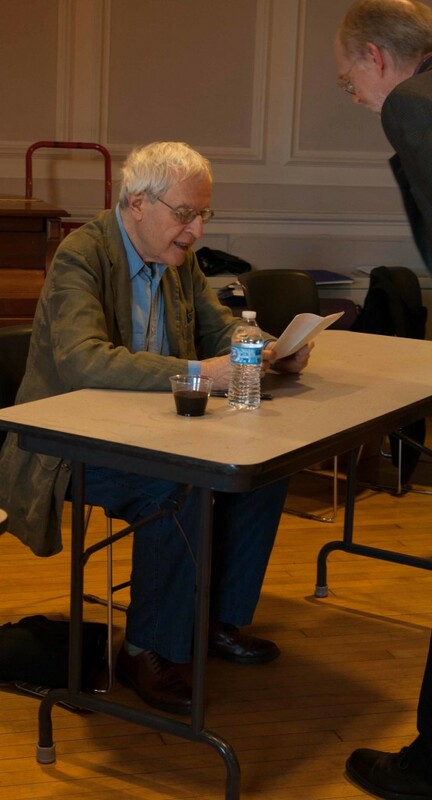 So, under the tutelage of Jack Myers and in a room right off of the front door of Dallas Hall, I met with other students to workshop poems and fell into part of a poem by Mark Strand that is all brilliant wordplay and keen precision. I would return to it on occasion if I needed to be reminded of how words can cut and thrill. Years later, when I experienced a crisis of raison d’etre proportions, I came back to poetry… and Mark Strand. When applying to poetry MFA programs, his name showed up high on a list of my influential poets. That bit of wordplay worked itself into an anthem cheering me on as I considered the course on which my life was racing. And his book on poetic form urged me on to attempt to write a good villanelle and pantoum. It’s a strange thing to live during a time where so many celebrities exist and are venerated for just showing up while others hunker down outside of the wide lens and do the work until the right time for the grand reveal. I didn’t know Mark Strand but have long been aware of the role he and poet Charles Simic have played in coining the term, “gastronomic poetry.” Heck, he wrote a poem in 1979 called “Eating Poetry.” It seems as though we would share that particular appreciation in common if we had ever met over glasses of good wine, thoughtfully prepared food, and a short supply of the right words. 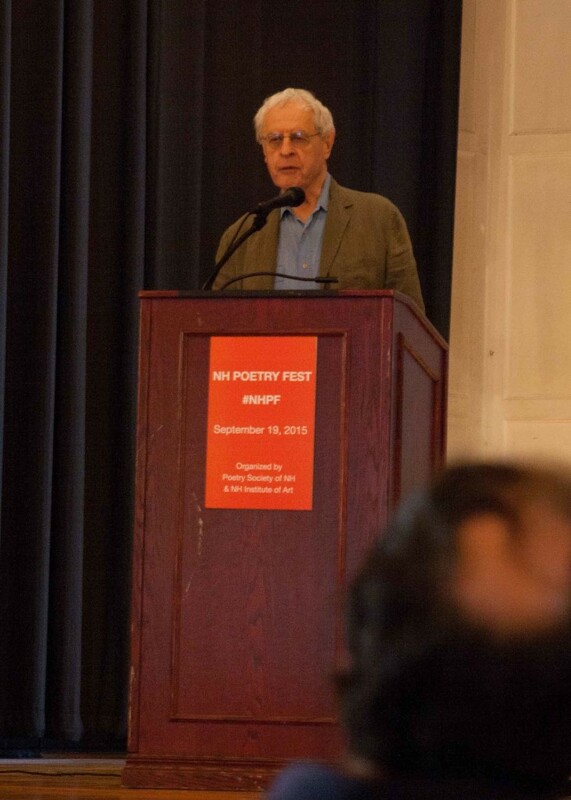 Last fall, I happened to be in New England during the first New Hampshire Poetry Festival. Without missing a beat, I canceled plans in Boston and made reservations in Manchester so I could attend. 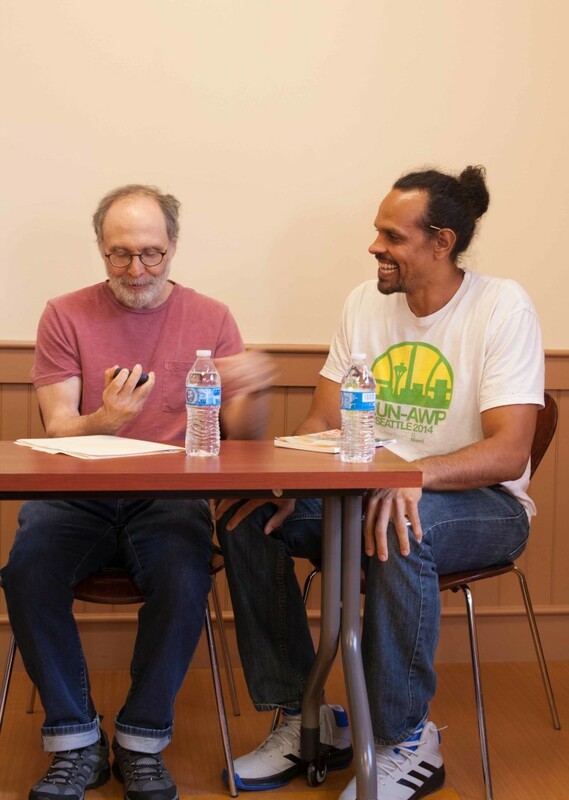 Early on Saturday morning, I sat in the session listening to Boston area poets read, appreciating the different approach of each of the poets, especially Wyn Cooper and Anna Q. Ross. From there—and one of the big draws for me—a group of us assembled around long tables for a workshop on writing in open forms with Jeff Friedman. During my MFA experience, Jeff mentored me and we became friends. 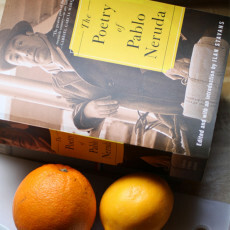 His poetry is ripe with food and he definitely falls into the foodie camp. Later on in the trip, I visited one of his writing classes as a guest and spoke about food writing and poetry. After the reading, when a short line had formed, I joined the queue to say hello and perhaps talk about food or poetry for a moment. 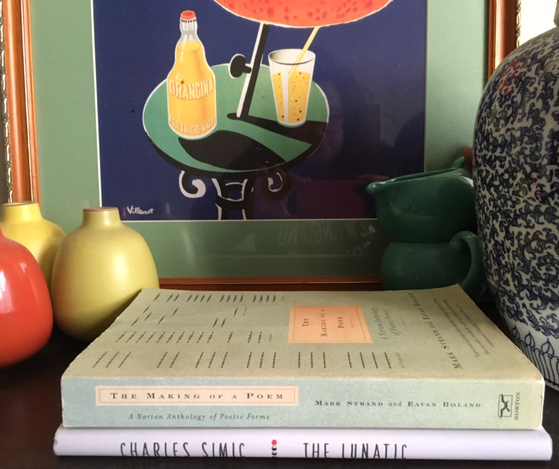 In answer to how “gastronomic poetry” came about, he described that one evening, he and Strand were talking about the universal receptivity to food in poems. “I had a cheeseburger and a tongue-in-cheek idea to write poems that include the kind of thing everyone eats three times a day.” And with that, I thanked him and moved on. Writing about food in poetry is one way I stay tethered to the form. Then again, there is a poetry in food that is equally compelling. In 2007 when I started the original inception of this blog, I called it “La Vie en Route” and used it as a place to chronicle great meals on my travels in the food business and what I learned along the way during studies for my poetry MFA. 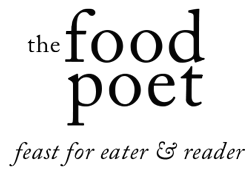 What I learned quickly and informed the transition to changing the blog name to “the Food Poet” is that all too quickly poetry gets elbowed out for the louder voices in my life. To tie me to it, I needed an anchor. Fifteen years ago, I began working in the food industry, but my passion for food started well before then. To marry two of my greatest loves in one spot of the internet might just keep me coming back to refill the tank of my soul. Blogs evolve as their people do. Some people take down their tents, opting not to continue blogging when life gets harried. Others opt to reimagine what their blog space might resemble as they transition to new careers or passions. I am still pulled by poetry and food here, and also cognizant that giving you a thoughtful morsel means more than slapping a post on the site just for the sake of consistency (though I wish I could blog more). For months, we have worked to bring a fresh varnish to the blog, knowing activating plans always take longer than you expect and that hard work behind the scenes can lead to a better reader experience. 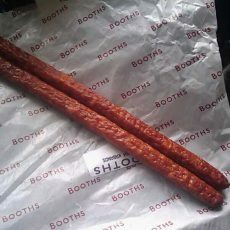 We have updated the website to make recipes easier to search and to put a gleam of polish on the online edifice. The sections have been broken out a bit with a left sidebar search that invites you to plumb the pipeline deeper– I’ve relished reopening blog posts from years ago, finding what is written must have been at the hands of another person as we sometimes rediscover in reading our earlier voices. I hope you will find it pleasing to navigate the blog and that you might even discover some new-to-you compositions based on the way we have categorized the sections. When you do visit, you can count on food, poetry, and art a la carte. I send the heartiest of thanks to Michael for the beautiful blog design, Jillian for the lovely calligraphic logo, and Stephanie for being prescient enough to pull out the camera one afternoon and convince me to smile without a stitch of makeup on my face. My thanks also goes out more broadly to fellow poets and cooks who find symmetry in the line and saucepan, who pursue their love of the craft diligently.